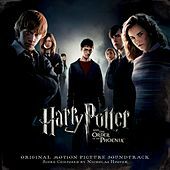 Nicholas Hooper is a British composer best known for his scores for Harry Potter and the Order of the Phoenix, the fifth film in the series, and its follow-up, Harry Potter and the Half-Blood Prince. 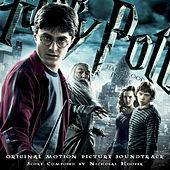 Hooper was nominated for a Grammy for the latter, but he was not brought back to score Harry Potter and the Deathly Hallows, whose soundtrack went instead to Alexandre Desplat. Before his Harry Potter soundtracks, Hooper scored various BBC documentaries and TV movies in England, winning several British Academy of Film and Television Arts awards. Musically, Hooper favors bright themes in the style of John Williams, set against atmospheric backgrounds of buzzing, atonal strings. He fills out his compositions with ominous electric guitars and choruses, lending them a modern, dramatic flair.